Dr. Kimmerer is a mother, plant ecologist, writer and SUNY Distinguished Teaching Professor at the SUNY College of Environmental Science and Forestry in Syracuse, New York. She serves as the founding Director of the Center for Native Peoples and the Environment whose mission is to create programs which draw on the wisdom of both indigenous and scientific knowledge for our shared goals of sustainability. Her research interests include the role of traditional ecological knowledge in ecological restoration and the ecology of mosses. In collaboration with tribal partners, she and her students have an active research program in the ecology and restoration of plants of cultural significance to Native people. She is active in efforts to broaden access to environmental science education for Native students, and to create new models for integration of indigenous philosophy and scientific tools on behalf of land and culture. She is engaged in programs which introduce the benefits of traditional ecological knowledge to the scientific community, in a way that respects and protects indigenous knowledge. Dr. Kimmerer has taught courses in botany, ecology, ethnobotany, indigenous environmental issues as well as a seminar in application of traditional ecological knowledge to conservation. She is the co-founder and past president of the Traditional Ecological Knowledge section of the Ecological Society of America. Dr. Kimmerer serves as a Senior Fellow for the Center for Nature and Humans. Of European and Anishinaabe ancestry, Robin is an enrolled member of the Citizen Potawatomi Nation. As a writer and a scientist, her interests in restoration include not only restoration of ecological communities, but restoration of our relationships to land. Dr. Kimmerer is the author of numerous scientific papers on the ecology of mosses and restoration ecology and on the contributions of traditional ecological knowledge to our understanding of the natural world. She is also active in literary biology. Her essays appear in Whole Terrain, Adirondack Life, Orion and several anthologies. She is the author of “Gathering Moss” which incorporates both traditional indigenous knowledge and scientific perspectives and was awarded the prestigious John Burroughs Medal for Nature Writing in 2005. 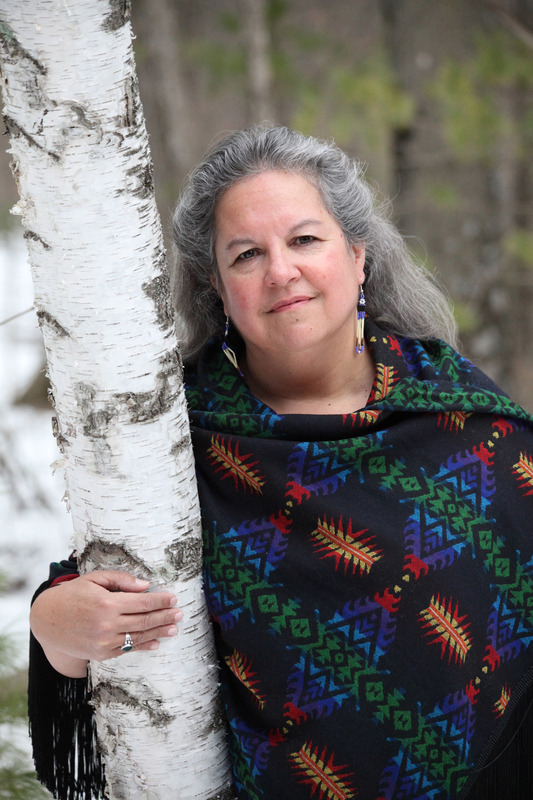 Her latest book “Braiding Sweetgrass: indigenous wisdom, scientific knowledge and the teachings of plants” was released in 2013 and was awarded the Sigurd Olson Nature Writing Award. She has served as writer in residence at the Andrews Experimental Forest, Blue Mountain Center, the Sitka Center and the Mesa Refuge.